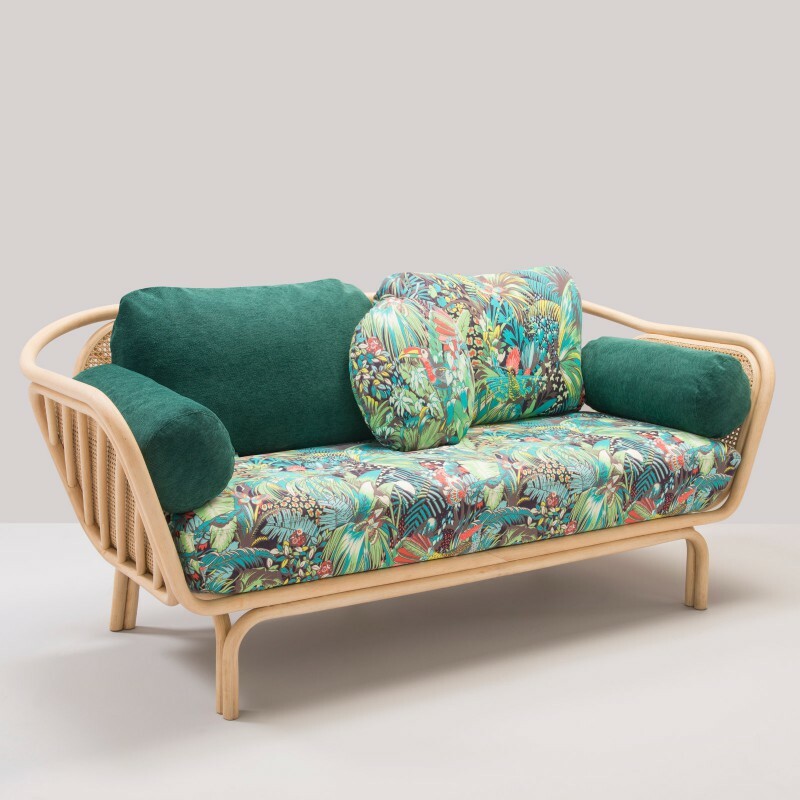 The BÔA sofa has been designed by Maxence Boisseau and Nelson Alves from AT-ONCE studio. 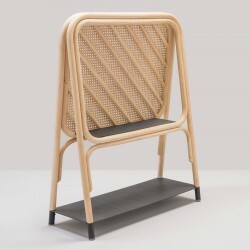 Structure in barked rattan, natural lacquered. Panels in opened cane webbing. Seat frame fitted with rubber straps. Seat cushion in P.U. foam 50kg/m3, back and side pillows filled with duck/goose feathers. Removable covers in a choice of our standard fabrics (here a "jungle" combination in exotic/dark green tones) or in customer's own material (C.O.M.). 4 422,00 € tax incl.